Content writing is a challenging task. Once you establish yourself as an expert blogger, you should be ready to wear lots of different hats. It’s not just because your content writing needs to be top-notch, but because you need to be equally adept when it comes to marketing, social media, and even design. Knowing HTML and CSS basics, collecting analytical data and developing an outreach strategy are among the top essential skills to develop. But the single most important point is to come up with fresh and valuable insights. about 23% out of 1,000 bloggers post 2 to 6 articles per week. And most of those articles are at least 500 to 1,000 words long. To cut through all the noise, you need to have some of your daily routines automated. Automation allows you to stay more focused on content writing instead of spending hours on making visuals or proofreading. That’s why finding the best tools matters so much. To simplify your choice, below is a list of content writing tools and apps that will assist you in content creation. These tools help you polish every piece you write, avoid self-repetition and distribute your freshly cooked posts on social media. This post is huge! I broke it down into sections. You can click on a section heading to go directly to that part of the list. Check out the content writing tools that every content creator will love. And then you can follow up with content marketing tools for WordPress. These content writing tools help you come up with ideas, organize, and share them. Instead of going with the first idea that pops into your head and creating content around it, you should do some serious brainstorming and come up with some which are truly the best. As opposed to writing down everything on a piece of paper, you can use Ideaflip. This tool gives you a visual, interactive environment that enables you to write down, manage, and develop your ideas. The design of its user interface removes visual constraints, which means you are free to do anything that will help your ideas spring to life. 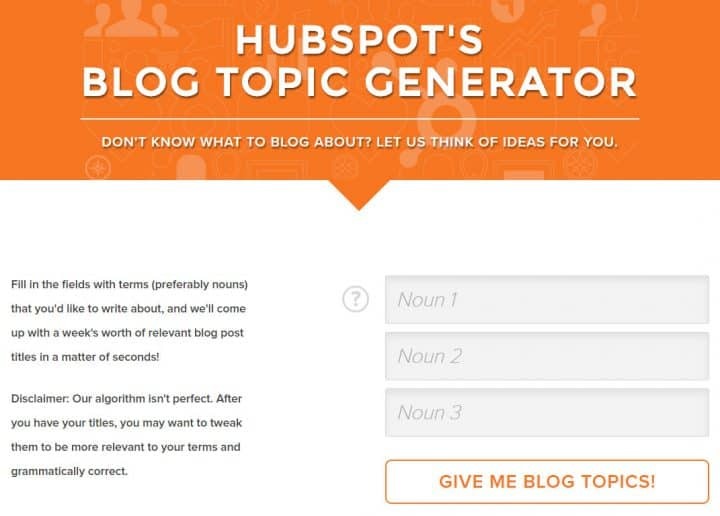 If you are finding it difficult to come up with fresh new ideas for your posts on a regular basis, HubSpot’s Blog Topic Generator can help you out in a big way. It enables you to enter up to three keywords, after which it will do its magic and come up with a long list of subjects that will be ready to use right away or which will help point you in the right direction. If you get stuck trying to come up with a catchy headline and have no clue what wording to choose, why not make the most of the headline generators? In spite of generating rather simplistic ideas at times, they can inspire you to change the way you intended to deliver your ideas at first. To create a topic, enter any word related to your future blog post into the search field and voila! You can update the search results as many times as needed until the topic is a perfect match for you. Editing and style corrections. Writing tools that free you from clutter and help with writer’s block. And of course, as we all make mistakes, some of these tools help to catch most of the typos and grammar mistakes. Use Grammarly and Hemingway App even if you are an English major. You still make mistakes. Let machines help you out with typos and simpler grammatical errors so that you can spend your time on the narrative of the story. StackEdit is a great tool for converting text into .html or copying it from WordPress, Google Docs or Word without the formatting changing. It is an in-browser markdown editor created especially for web writers. This tool has many themes, layouts and shortcut combinations to customize your content writing. It has a spell-checker that supports many languages, and you can sync it with Dropbox and Google Drive. 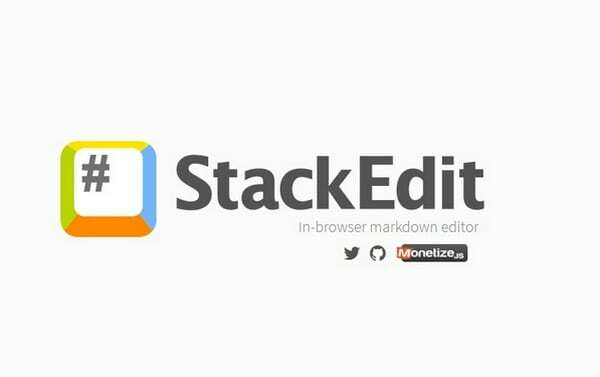 StackEdit also allows posting articles on WordPress, Dropbox, Tumblr and Blogger in a markdown format, .html, or with adjusted formatting using the underscore template engine. If your Internet connection isn’t stable, fear not – this editor has offline functionality. EduGeeksClub is one of those resources you need to rely on as a content marketer. Being a professional writing and editing service, they can both assist you in creating well-written, informative, and even viral content, and in editing your existing articles and blog posts, thus saving a lot of time. While there are plenty of good grammar-checking apps out there, they are not as accurate as an actual human editor, and it’s always better to have an extra pair of eyes to help you polish your content and make it spotless. Ilys is a tool that can provide you with one of the most unique writing experiences you will ever have. All you have to do is enter the desired word count, and start typing. But, there is a catch: the app will only display the last letter you have typed, and you can’t make any edits until you finish writing. Sounds weird, but it works like a charm. Although you may be quick to go with Microsoft Word or OpenOffice Writer as your word-processing application of choice, they may not be the best solution. Yes, they are incredibly powerful, but sometimes you need something a lot more streamlined and simple that will help you focus on your writing. 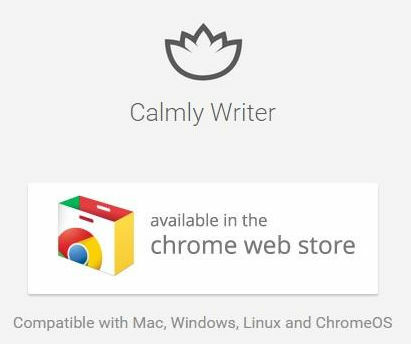 We recommend Calmly Writer. You get only the most basic content writing tools, such as the ability to insert different subheadings, quotes, and links, so you can concentrate on getting all your ideas on the screen. Check out its “Focus Mode,” which takes this approach to a whole new level, which makes everything blurry except for the paragraph you are working on. Take some time to write better and practice daily writing. In academic circles, plagiarism is one of the most serious offenses. Online, plagiarizing someone else’s work, intentionally or inadvertently, can lead to Google flagging or penalizing your website and giving it a low ranking. To keep your content as original as possible, use Plagiarism Detect. Unicheck is the essential software for keeping texts original. It works fast and scans submitted files across a real-time web index (4.75+ billion pages), open access repositories, journals, and documents stored in your account. Although this online similarity finder is for educators and students, it can also be of great help to content writers. Unicheck (Unplag) checks your texts across Internet sources or compares two or more documents or folders against each other. This way you avoid copying someone’s words by accident and also prevent self-plagiarism. The tool highlights duplication and generates reports with links to sources. Unicheck (Unplag) applies a mask spotting text matches from the source. The links will help you find what needs citing or changing fast. Power Thesaurus is a free thesaurus app which doesn’t feature any ads, because it is crowdsourced, which will instantly make it one of your favorite tools. On top of that, its user interface is very streamlined and elegant, and the app itself is always keeping up with all the latest developments in linguistics. After writing, you have to get the word out. You need traffic! 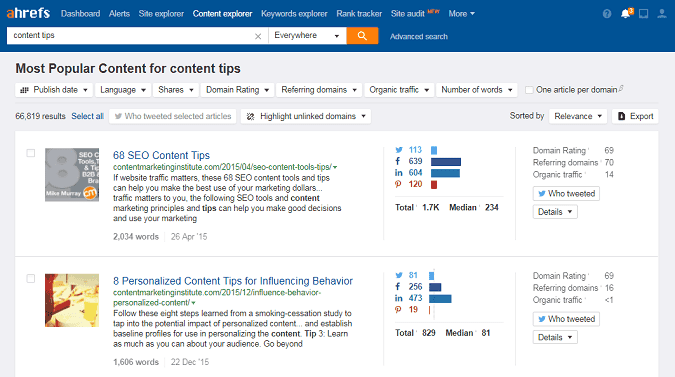 Here are the tools for sharing and promoting, optimizing for SEO and measuring the results. Customize your browser push notifications and create a personalized user experience. Add context to your campaign and strategies with rich push notifications. Boost your user engagement and increase traffic to your website with custom targeting. For those of you who make extensive use of Twitter as a content promotion channel and have a blog on WordPress, CoSchedule can be of great help. This plugin turns some of your post passages into tweetable content to be then shared by your followers. It is simple and extremely useful. Ahrefs is a massive SEO toolkit you can use to propel your writings toward the first page in search. Running the largest content index, it discovers what other tools overlook. 5 million posts a day is its record mark no one has surpassed yet. With a flexible filtering system, you can keep only valuable topics on your radar. The rest can be filtered out by time, traffic, shares, referring domains, word count, etc. Each post comes with social and SEO metrics visualized on charts. It will let you track its ups and downs over time. It can become your reliable reporter of link opportunities. You’ll see all the unlinked mentions of your business or its key pillars in the dashboard, while alerts about new mentions will come to your email. If you run out of ideas one day, you can exercise your creative muscle by spying on competitors’ flagship content. While other tools reveal only backlink profiles, Ahrefs also lets you analyze how well each post performs in organic search. You can track all the keywords it ranks for, estimate how much traffic they bring, and learn how difficult it may be for you to rank for each. In addition to providing awesome content for your readership, you also need to be mindful when it comes to the timing of your posts. Buffer is an app which enables you to not only manage and schedule your posts across all social media accounts. You can also keep track of various stats which you can use to determine which day of the week or time of day is the most effective for posting new content. Buffer also has its own image-enhancing tool called Pablo, which helps you add text on top of your images and some effects to make them shine. 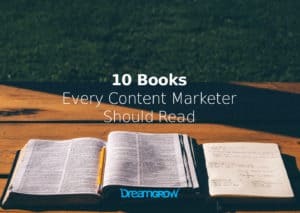 One of the most effective ways of getting your content to reach the right audience, and enough of it, is to get in touch with some of the influencers in content marketing, which is easier said than done. Not if you use Buzzstream, though. It can help you in finding stuff like contact information and social media accounts of the most influential players in the industry, which provides you with the opportunity to establish any collaboration with them and promote your work. Apart from being a tool, you can use to attach a call-to-action to every single article or social media post you share, Sniply can provide a backlink to your website, which is simply revolutionary! Whenever you curate and place a link to some other website which hosts content your readers may find useful, Sniply will pop up and show a call-to-action and a link that leads back to your website. This tool is an absolute gem which you need to have in your arsenal. Though there are still many debates about the real value of SEO for content, you need to still take into account the keywords your readers search for. It doesn’t imply that your blog content should be over-stuffed with such search queries. Thus, to understand whether you’ve optimized your content well enough, use an SEO plugin like Yoast. It includes keyword analysis, page content analysis and suggestions on how to tune it up. The features also include sitemap support to help Google and Bing index your blog faster. To progress, you always need to analyze what’s behind the rise and fall of traffic to your website. 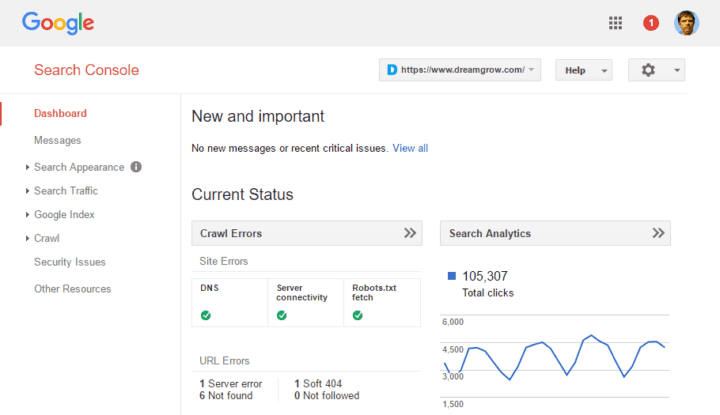 Google Search Console provides detailed analytics on the frequency of your blog visits. They allow sorting out data by country and device and find out what search queries your blog guests usually type in. You can also choose posts that lack traffic and “beef them up” by adding links to them from other websites or posts. Last but not least push notifications are a great way to get people to your site. Use the free services if you haven’t tried them out yet. The traffic volume isn’t very large, but the engagement ratings for people arriving through push notifications is a lot higher than your average. Text alone is bland. You need images, memes, infographics, videos, etc. Make your content pop with these multimedia content tools. If you want your content to resonate with your audience, you need to make sure it’s aesthetically pleasing, in addition to being useful and informative. To please the eye, you need to enhance it with some visual eye candy, which is a challenging task for most content creators, especially if they don’t have any previous experience regarding graphic design. 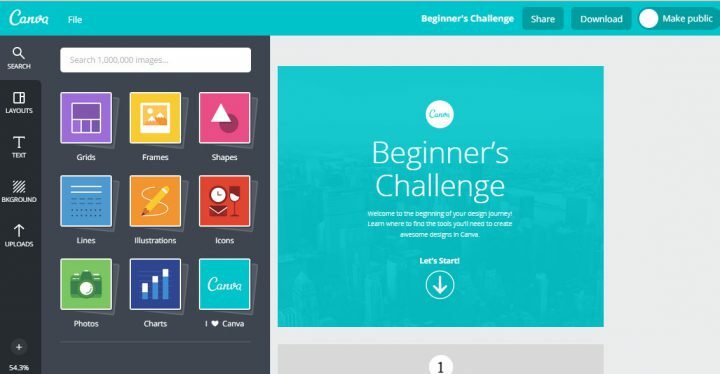 The easy learning curve is where Canva shines, allowing you to create visual content such as presentations, posters, infographics, and cover images for all of your social media accounts, thanks to its wide variety of templates. Infographics are hugely popular right now, not just because they offer easily digestible information in a visually pleasing form, but because their looks go along with the current trend of flat design in pretty much everything. Readers can’t get enough of them, which means you have to feature some on your website or blog, so why not go the extra mile and offer them animated infographics? That’s right; you can now easily create stunning animated infographics with the help of Infographic Video Maker. There are many complex graphic-design tools out there. But Venngage is a free online graphic-design tool ideal for the non-designer. For complex data visualizations, users can choose from a number of chart and graph templates that are easy to modify. For marketing material, users will find templates for posters, flyers, brochures, social media headers and posts, and blog headers that they can personalize. And for business content, there are templates for marketing and sales reports, white papers, product roadmaps, presentations and more. Also, with a library of 20,000 unique icons and access to royalty-free stock photos, it’s easy to put together something that looks professional and polished. Designing an infographic to visualize certain data or an entertaining message can be time-consuming. But infographic is also worth the effort because this type of content has proven to be highly shareable if done well. 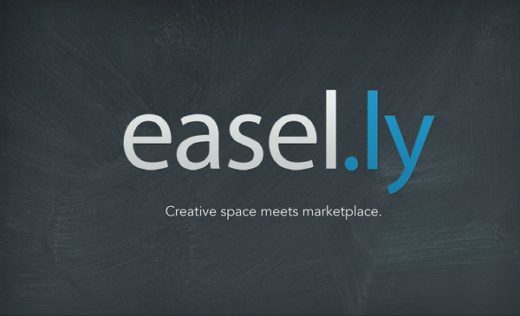 To simplify the process of its creation, Easel.ly offers many pre-made templates. You can add, remove and edit each infographic element the way you need it. The tool allows applying a grid so you can position each object or text symmetrically. After you make all the tweaks, you can download it as a .pdf. Should you need to change an already published infographic, just head to your account and upgrade it. 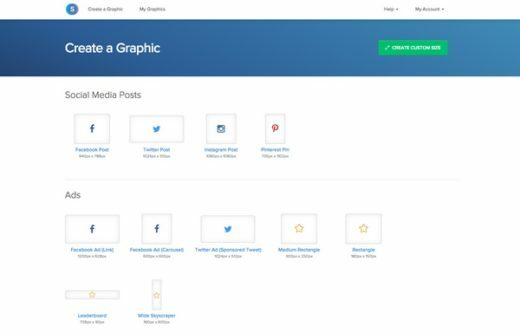 There are hundreds of templates for creating graphics to fit social media, newsletters and blog posts. The service claims to add high-resolution photos to its database daily. Snappa stores graphics you create and allows going back to your custom designs whenever you need to edit or re-use their design elements. To glue your fans to your social media page, Snappa offers to schedule image posts via its app. If you are good at photography, you can upload your masterpieces, tune them up (by adding special effects) and get them posted. If you have a genius for cracking jokes, then there’s no better choice for you than Memegenerator. The key is to catch the right moment and make a funny meme either from scratch or by using existing templates. 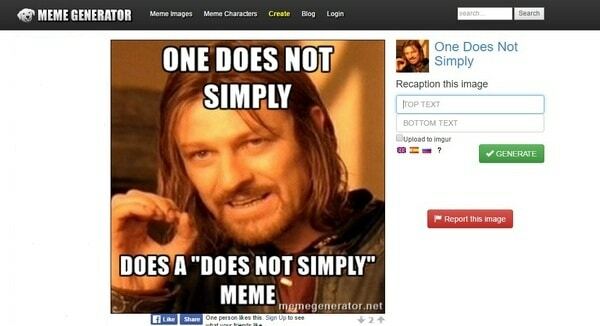 Memes have become a cultural phenomena that you can use to spark emotion and drive reach in social media. Videos, and especially video tutorials, are among the top viewed content on the Internet. But for your blog readers to view and share them, they must be of high quality and show how to achieve a goal by following simple steps. One of the tools suitable for this purpose is Camtasia. It allows recording only those parts of a screen you choose. 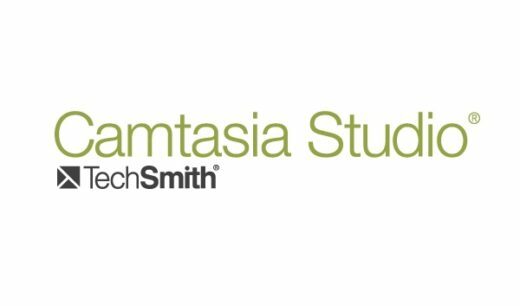 After recording, Camtasia divides audio, video, and microphone into separate editable tracks. To focus viewers’ attention on the most important things, you can apply special effects such as arrows, text boxes, and highlights. You can distribute the video further via your preferred channel such as YouTube or Vimeo. Podcasts are effective, yet an extremely underrated way of delivering content to your audience. They allow you to share large volumes of information that would have been too much to process in the written form. However, to create a podcast, you need to have decent audio editing skills. You can also rely on one of the many apps designed for that very purpose. If you prefer the latter, give Spreaker a try, which will allow you to create podcasts in a matter of minutes. To do list, calendars, workflow organizing, file sharing, all you need to keep your editing process on track and on time. Make sure you meet all the deadlines. To get into the habit of planning your blogging activities well ahead is crucial. Digital organizers can help you tackle many tasks with ease. Wunderlist is among such tools. It can keep your ideas well structured and remind you of other tasks you need to do. Wunderlist can also transform your emails into to-do lists, move them between folders and add notices. Share your lists with others, or print them out with just one click. 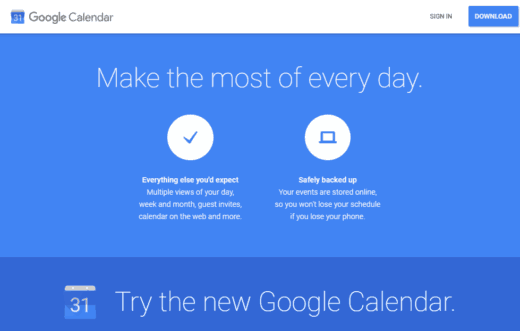 Most of us use Gmail, and many have also gotten used to using Google Calendar for planning. Why not turn it into a daily planner for your blog publications as well? Schedule posts for exact times and dates, and write down topic ideas for upcoming posts. The calendar allows you to make to-do lists and schedule events. Furthermore, you can sync a calendar on your mobile device with your Google Calendar. Should you be fond of stickers, you will definitely find this tool helpful. Divide your digital cards with notes into four categories: ideas, to do, doing, done. Drag and drop them the moment their status has changed. The tool has an intuitive user-interface and allows uploading files from Google Drive, DropBox and OneDrive. You can also set a date and time for when a card is “due”. What can be better than an online file storage accessible from any device? Quite often you save documents on your PC and later wonder why you didn’t store it in your Google Drive. 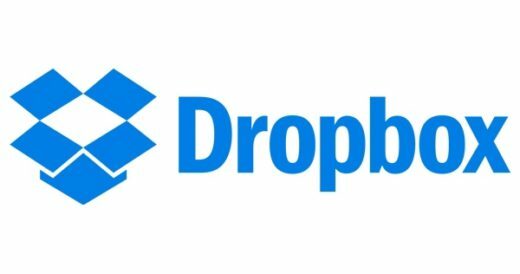 With DropBox you won’t have these problems. Moreover, the tool is good for exchanging videos of big sizes and working jointly on the same presentation or post. Here are the sites to browse for inspiration. Make sure you don’t miss trending topics. Create reading lists that inspire and help you get a new perspective. With this tool you can always stay aware of the latest news related to your interests and domain of expertise. 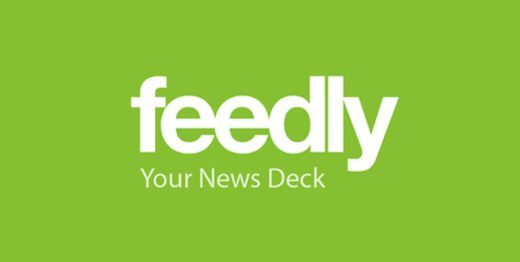 Feedly lets you create your own feed by following blogs, authoritative websites, and YouTube channels. Set keyword alerts for your blog, article, or name mentions to know who is talking about you. 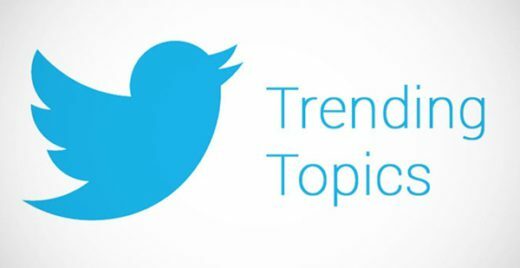 Trending Topics is one of the sections on your Twitter homepage that gathers information about the most up-to-date topics. You can even filter them by location and Twitter pages/users you follow. You can also take advantage of hashtag searches for the content relevant to your professional sphere. By reading tweets, you will be more aware of the issues that peak people’s interest and have more chances to strike a chord with your readership. Alltop is a never-ending source of inspiration. It contains publications of top sites and keeps them categorized by topics such as Tech, Culture, Sports, Science, and Fashion. 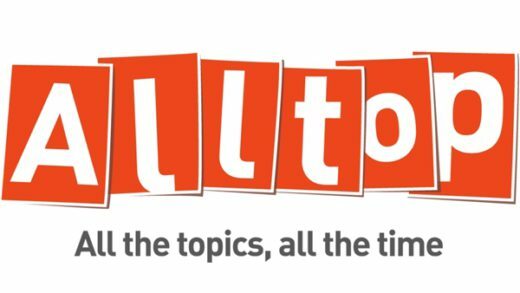 According to Alltop, you have a chance to make a personal collection of 32,000 information sources. In spite of its rather primitive user-interface, Reddit is still used across the globe to discuss burning topics. You as a blogger will benefit much from taking part in its discussions, and can even go there for expert advice. Many bloggers and writers use this platform to observe which headlines get the most responses from readers. 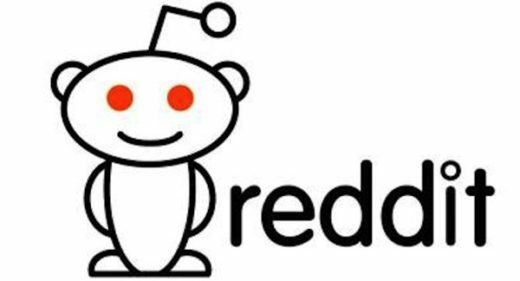 Find out how to use Reddit in your content marketing strategy. These brilliant tools will become your reliable assistants and bring much relief when coming up with new topics, designing infographics, and other content. You will save a lot of time, which means you can focus on the quality of your content. Keeping fresh content flowing is one of the biggest challenges you face, so use these tools to meet that challenge head-on! Do you know any great tools for writers? Let us know in the comments! Antonio Tooley is a blogger and a consultant who provides writing assistance to job seekers. He loves writing about marketing, education, and productivity. He’s also crazy about riding his bike and bumping into new people (when he’s on foot). He will be happy to meet you on Facebook and Twitter. Leona Hinton is a young blogger and educator from Chicago. Utterly in love with adventures, she also likes to express her feelings in writing. Inspired by classic literature and smart talks with people, she is happy to share her professional experience. Feel free to contact her on Facebook and Twitter! Amazing List. These all are very useful for content writing and their services. Thank a lot for the informative information. Keep Posting and sharing your ideas. This is the most helpful post I have seen regarding this topic. Excellent work in compiling all of this information. Thank you. For words counting and text pre-processing I would suggest goo.gl/KG2nZ2. Let me know whether you find it useful or not. great content, m really thankful to you for your great article … now time to implementation and again thank you for your dedications. AMAZING….!!! you have listed most of the tools that are useful to any digital marketer or blogger to be successful in the online industry. Mine favorite is Ahrefs and Canva. Thanks for sharing the list..Got to Know About Some new tools..!!! That’s a cool article! Very useful list of content writing tools. We use most of these apps at my company Speedypapers.net and it really works. Good advice for everyone engaged in content writing and website promotion. Thanks a lot! You have an error in this post. Grammarly is marked at #9 when it should be #3. I don’t know much about these tools to write an awesome article. I am using these https://goo.gl/euSQyx . Amazing post ……….Thanks a lot for including Power Thesaurus. I still think that unplag.com is the best plagiarism checker. But now its name is Unicheck (www.unicheck.com). 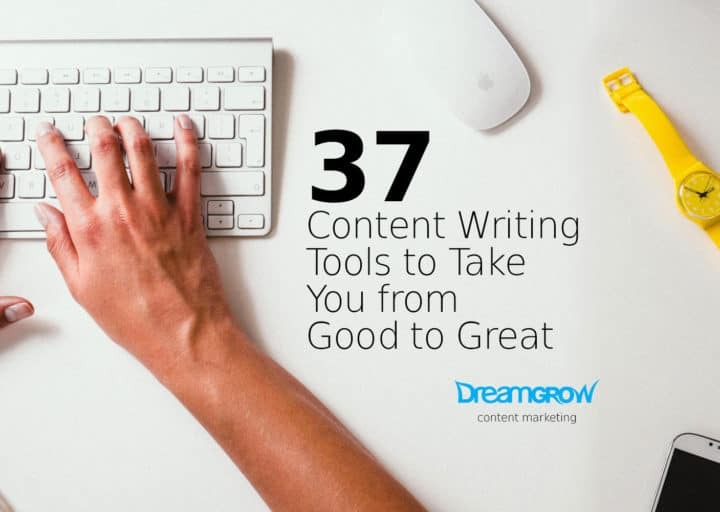 That’s really a great list of content writing tools. 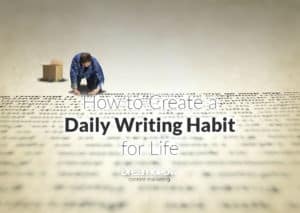 A few days back I was reading a blog of Neil Patel and from that day I have been using Hemingway app tool which is quite effective and helping me to write effective content. I will recommend this tool to everyone. I have noticed that when I started using Hemingway, my writing style improved and now I write easier texts to begin with. I made it myself with wordpress and Hueman theme. Thanks a lot for including Power Thesaurus! Amazing article……………We can drive more traffic from content marketing and Content is the king for any website in terms of seo but as you’ve mentioned about these tools are very clear and effective. Thanks for sharing this massive list of tools for content marketing my friend. Nice post. I second your thoughts. Content writing tools are very important for every business especially startups looking for the favorable grounds breeding success. These businesses should really consider business plan writers for hire, who can stay by their side as they step forward to their goals and objectives. Nice list! Never heard of IdeaFlip before. Seems to be similar to Realtime Board (https://realtimeboard.com/) which might also be worth checking out. 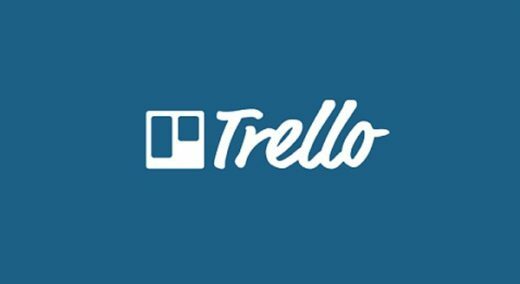 We also use Trello (https://trello.com) as our editorial calendar. These guys just rock. As for creating visuals, Animatron (https://animatron.com) is perfect for creating animations, infographics, GIFs and even just images. A must-have for any content manager. Wow, such a nice post, Antonio. I’m using most of your favorite services and they are really great. You should also check out this plagiarism detector https://unplag.com/, it’s in my personal top list of content writing tools. I’d rather use a reliable checker with user-friendly design and clear plagiarism reports than Plagiarism detect which seems to be uncertain. 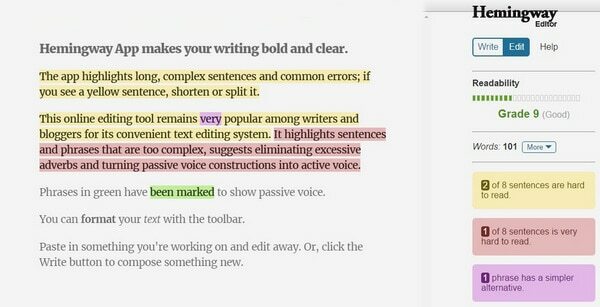 Another tool that I absolutely love is Hemingway Editor http://www.hemingwayapp.com/ Hemingway Editor will highlight (in yellow and red) where your writing is too dense. Try removing needless words or splitting the sentence into two. Your readers will thank you.